When you are building your website, then you need to opt for the web hosting service provider. Hiring the Lebanon web hosting service is an essential thing to do if your audience are within the region. Hosting is like a place where you will keep your website databases and files and anyone can access your website through the domain. The web hosting service provider will rent you some space on the server for your website. The web host will make the process easy for you so that the viewers can view your website from any part of the world. 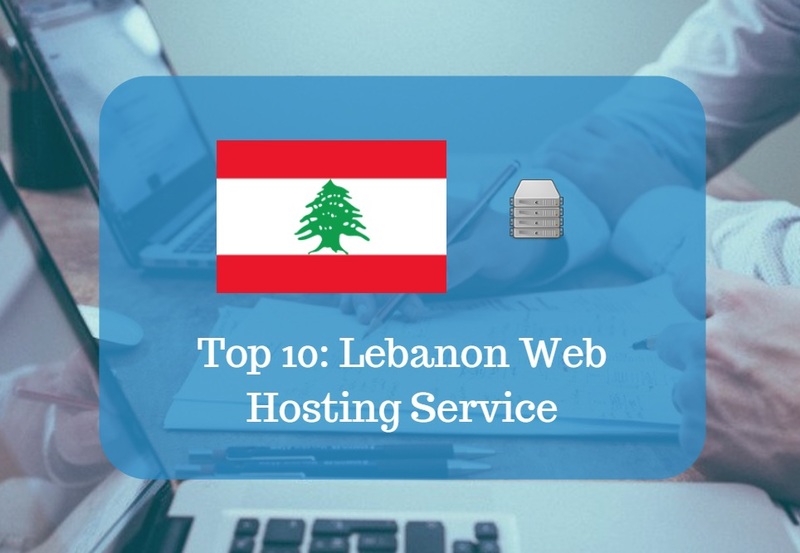 Here we present 10 Lebanon web hosting services. Arab Host is a website specializing company which was established in the year 1999. The organization is offering free hosting along with all other hosting services. This web hosting provider is specialized in providing web solutions like Arabic web design, e-marketing, advertising, VPS servers, and Special servers. It is quite active in leasing servers as well as the distribution of hosting. Arab Host helps its clients in registering for the personal site, forum, website, and blog. It uses modern as well as advanced languages to develop websites, forums, and blogs. The company was founded in the year 2008 and since its establishment; it is serving as the cloud service provider in Beirut. Server Lebanon has covered the local as well as international markets by providing all the services related to the web as well as cloud hosting. In the area of web hosting, the company is serving the clients with the services of shared hosting, VPS hosting and dedicated hosting. Furthermore, Server Lebanon is also providing domain related services. Hostleb is offering IT based solutions such as domain name registration and web hosting solutions. This Lebanon web hosting service provider is offering different packages like Copper, Bronze, Silver, Gold, Platinum, and Diamond. All these packages have different features and clients can choose any one of them as per their requirement and preference. Their services are offered with virus scanning, network traffic filtering, intrusion detection systems, and firewalls. They will give the most optimized solutions for your IT related problems as the organization has the Microsoft Certified Professionals. A team of enthusiastic IT professionals established Middhost in the year 2009. Since then, it is providing unmatched hosting services in the industry. They have expertise in solving any kind of technical issues. To serve the different requirements of the clients, the company has come up with the different hosting plans which have various different features. The hosting plans are Novice, Small, Personal, Business, and Extra. It is offering a wide range of E-commerce solutions along with the entire range of web hosting services. 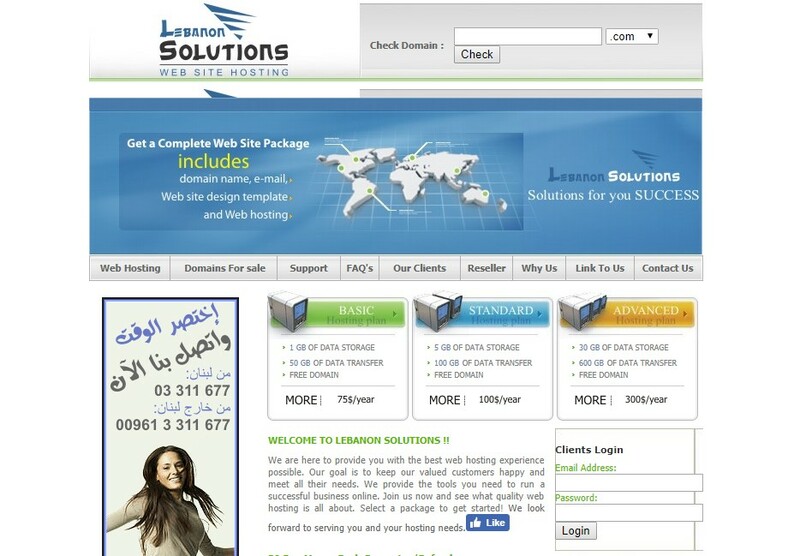 Lebanon Solutions is a website hosting provider in the form of various packages such as Basic hosting plan, Standard hosting plan, and Advanced hosting plan. The web hosting service provider is offering e-commerce Lebanon web hosting service. Furthermore, the web host also offers Spam Assassin, email accounts, FTP, MySQL, PHP, SSI, CGI, and Webalizer. 961 Host was founded in the year 2007 and since its establishment; it is serving the internet industry for providing the web-based solutions. Its products and services include web hosting and virtual private server. All its services and products also include the SEO tools. 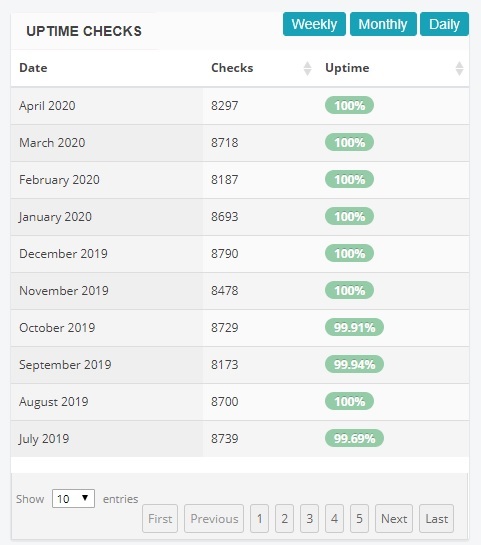 961 Host has everything for the small business owner as well as the individuals who are looking for the web hosting plans. It offers packages to the need for the website such as Starter, Professional, VPS-1251, and VPS-8104. In addition, this organization supports 1-click installer like Drupal, Joomla, and WordPress along with adoption of the latest technology such as PHP7 and SSD. All the services are served in offers and packages like Small Hosting, Med Hosting, and Big Hosting. In addition, social media marketing is another area which is provided by this organization. All the services are provided with the help of expertise only and quality will be given in its each and every service. It will ensure that you make your online presence effectively. It is a web hosting service company that is quite active in offering the best web hosting services since its establishment. As per the requirements of the clients, SiteGround is providing the different hosting platforms which suit the need of their clients. They offer the most optimized solutions to the IT-based problems/ the latest technologies such as PHP 7, HTTP/2 and much more adopted by SiteGround offers unique security solutions. 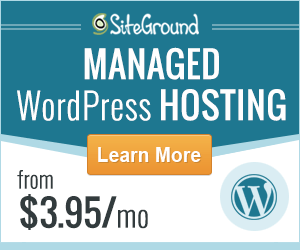 The technical support of SiteGround is always ready to solve the problems of the clients. HostGator is serving hosting services in the terms of Web Hosting, Cloud Hosting, WordPress Hosting, VPS, Domain related services, Dedicated and reseller. They are offering the perfect web hosting plans for everyone. It does not matter whether the client needs a business web hosting plan or personal website hosting plan, HostGator will provide the perfect solutions so that the clients can achieve their aim. They are committed to their customers and provide quality services. Bluehost is indulged in providing web hosting services such as Shared Hosting, Cloud Hosting, Dedicated Hosting, and VPS Hosting. In the area of WordPress, it is serving the customers with eCommerce, Optimized WordPress Hosting and WordPress Hosting. These Lebanon web hosting services will let you enjoy the perfect online presence on the internet. Buying a space on the server will enable you to make the presence online and enhance your business. Building a website without web hosting services will serve no purpose. Therefore, seek assistance from the Lebanon web hosting services to reach your aim and goal. It is essential to hire the web hosting service provider to get online. Hiring a web hosting service provider will give you help to maintain your website.